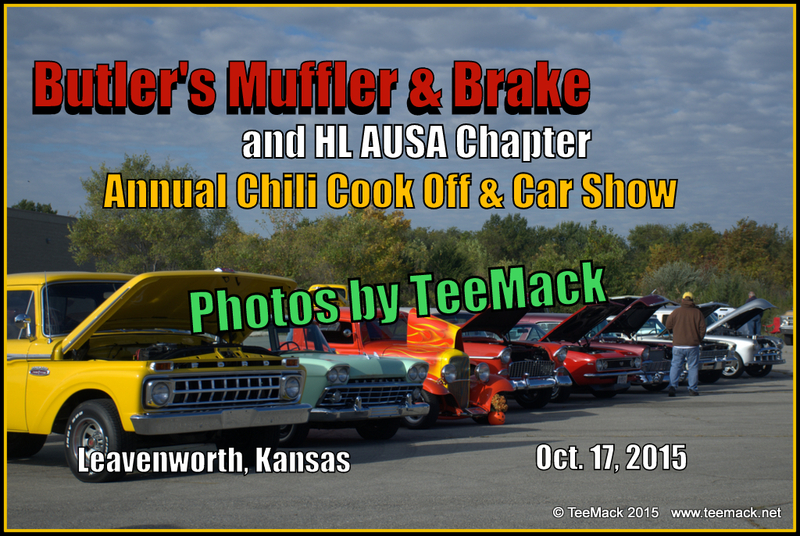 The Annual Butler's Muffler & Brake and HL AUSA Chapter held it's annual Chili Cook Off and Car Show in Leavenworth, Kansas on Oct 17, 2015. The Annual event raises funds for Special Olympics. About 80 Vehicles attended the event. Nine different Chili Tents participated in the Cook Off. Along with the Cook Off and Car show, there was a cake walk and a raffle. Even though the morning started with temperatures in the low 50's, everyone seemed to have a real good time. 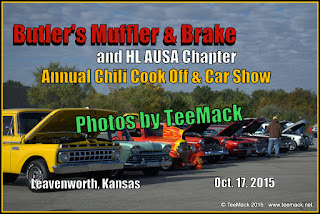 Click here to view photos of the Car Show.